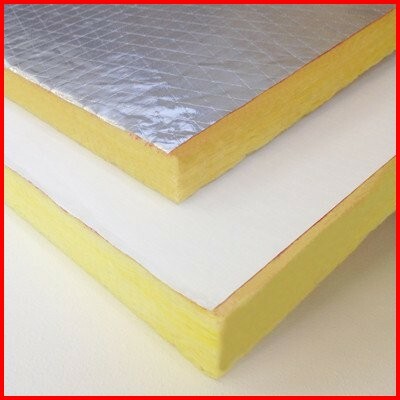 FlameShield™ Rigid mineral wool board is marine approved and hydrophobic. Suitable for A-30 Steel Bulkhead, A-30 Steel Deck, A-60 Steel Bulkhead, A-60 Steel Bulkhead (restricted) and A-60 Steel Deck. Reinforced aluminum foil facing on one side. Also available plain (no facing) or with white fiberglass cloth one side. Flame spread Index = 0, Smoke development index = 0. Suitable for steel pin or wire mesh support installation. Easily cut to size.